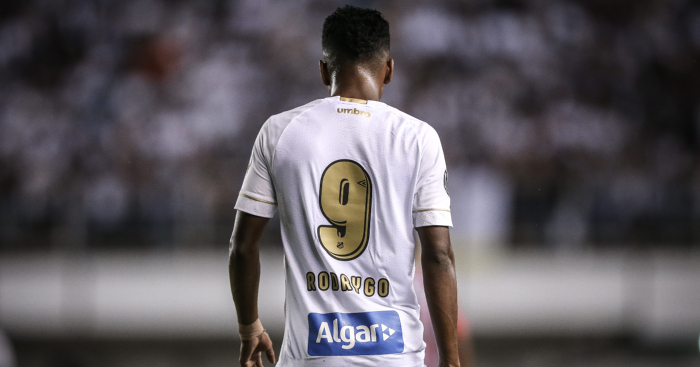 Liverpool made an offer to sign Santos sensation Rodrygo Goes, according to the Brazilian’s agent. Real Madrid have reached an agreement with Santos to sign the 17-year-old and a deal is expected to be sealed this month before he is allowed to stay at Santos for another season. Due to regulations, he won’t be eligible for a transfer overseas until his 18th birthday, which falls in January 2019. The exciting forward was also the subject of interest from PSG and Barcelona, and the player’s agent Nick Arcuri has said Jurgen Klopp’s Liverpool had a concrete offer for the player rejected. Arcuri told Esporte Interativo: “We had offers from Liverpool, PSG, Barcelona, but they did not reach what Santos asked for. “Fifteen days ago, Madrid came behind me, they met with the president and made their proposal, reaching the value that Santos always wanted. According to the Daily Mail, Liverpool have tracked Rodrygo for over a year, while Manchester United are also reported to be keen on the Brazil U17 international. Real Madrid will pay Santos €40m for 80% of Rodrygo’s rights with the remaining 20% belonging to the player himself, with the total cost of the deal around €45m. Real Madrid are reportedly set to pay him a €10m signing on fee on top of his €330,000 per month salary.